Many people who are new to SEO think that using Google’s disavow link tool will help them to get the high rankings back that they had before Google’s penalty hit their sites. That is not the case. If you want to get your rankings back, there are other things that you have to do. Why were so many websites penalized? Google’s Penguin update penalized websites by people who confused spamming with search engine optimization. Buying hundreds of links on other websites is not search engine optimization. Using tools that automatically create hundreds to thousands of backlinks on forum sites, blogs and other pages also has nothing to do with search engine optimization. These tools and services are spamming machines. The rankings of websites that used these tools to get high rankings dropped dramatically after Google’s recent updates. Google’s disavow link tool enables businesses to inform Google about links that shouldn’t be considered anymore. Before you submit your links to Google’s disavow tool, Google expects that you try to get rid of these links for yourself. When you submit your link lists to Google, they will use that data as a suggestion. Google has made it clear that it will take weeks until you get a reply and that they might or might not use your data. Your website used to have high rankings because Google used to count the spam backlinks that point to your site as regular links. Now your website has lower rankings because these spam links don’t count anymore. The previous spam links that led to high rankings on Google either don’t count anymore because Google has detected them or because you removed or disavowed them. It doesn’t help to remove and disavow links that Google already filtered for the search results. You’re just sending Google a confirmation that they found the right links. You might even remove links that have a positive influence on your search engine rankings. If you want to make sure that your website gets high rankings, you need to get more high quality backlinks that point to your website. Don’t look back at bad things that you might have done in the past but focus on doing the right things now. 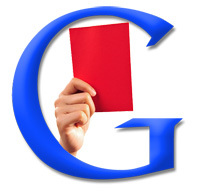 Tags: Google penalty removal, Google's disavow links, Google's disavow links tool, improve your rankings, websites penalized? This entry was posted on Thursday, December 6th, 2012 at 6:05 am and is filed under SEO News. You can follow any responses to this entry through the RSS 2.0 feed. You can leave a response, or trackback from your own site.